"But what’s going on here is bigger than Google just devoting design and programming resources to make nice alternatives for users who prefer a competitor’s platform. The reason these apps are so useful to me is because I’m already so invested in the Google platform as a longtime user. The apps remember my history and my most recent state, so they can sync from one place to the other. If I use Google apps, I spend less time retyping the same information on a smaller screen, which makes me safer and less annoyed. So, in a way, it’s really more about Google being cross-platform than making something nice for iOS. The reality is, the iPhone is just one device I might pick up throughout the day." "Indeed, Big Data does seem to be facing a work-force bottleneck. “We can’t grow the skills fast enough,” says Ms. Perlich, who formerly worked for I.B.M. Watson Labs and is an adjunct professor at the Stern School of Business at New York University. A report last year by the McKinsey Global Institute, the research arm of the consulting firm, projected that the United States needed 140,000 to 190,000 more workers with “deep analytical” expertise and 1.5 million more data-literate managers, whether retrained or hired." "According to Pew’s ongoing Internet & American Life survey, 25% of respondents — one in every four — now owns a tablet; while e-reader ownership is now at 19%. Biggest of all is the fact that now one in every three people owns some kind of device — tablet, e-reader or both — for e-reading. That’s more than a twofold rise for tablets over December 2011, when tablets and e-readers were level, with 10% of surveyed respondents said they owned one or the other. This most recent survey dates from November 2012 — meaning that the proportion is likely to rise even further after holiday sales shopping is taken into account." "How the government finalizes rules about the black boxes might set scary precedent for other technologies, according to Jay Stanley, an American Civil Liberties Union policy analyst. “Will devices serve the consumer/owner, or some other powerful interest such as the government or big companies?” he asked. “We don’t want to drift into a world in which our own possessions are riddled with computer chips acting in the interests of others — watching us, controlling us, and possibly snitching on us.”"
"The 920 is still available directly through AT&T for the original $99 price, but it can be had at Amazon.com for $39 to buyers willing to take on an AT&T contract. Verizon's 822, meanwhile, is free with a contract. T-Mobile USA Inc., which sells the Lumia 810, is also giving the phone away to buyers willing to take on a contract." "Social networks filled with complaints. Some customers also complained that Amazon’s own streaming service, Amazon Prime, was down. Amazon said it had fixed the problem completely by the afternoon of Christmas Day, and Netflix said it had restored its services to most of the affected consumers by late Christmas Eve. But the episode highlighted how consumers are increasingly using “the cloud.”"
"We’re already seeing the early signs of a shakeout in the social TV marketplace, as startups are being acquired or silently disappearing from the scene. Not too long ago, Socialguide was acquired by Nielsen. And last month, Viggle and GetGlue announced plans to merge (although those plans are contingent on Viggle securing more financing). At the same time, other competitors — like, for instance, Miso — are pivoting to try new things or moving into adjacent markets. Much of the reason these new, TV-centric social networks are failing to catch on is that there’s already a place where people share their feelings about what’s on TV: Twitter. And while Twitter hasn’t been terribly aggressive thus far in taking advantage of that, you can expect to see it do more over the coming year." "Oddly enough, other people are seeing the exact opposite scenario: clean content is instead being swapped with the original, explicit source material in the cloud — a potential concern for parents. If this problem sounds familiar, that's because Apple experienced precisely the same issue soon after it debuted iTunes Match." "Our current long-term vision at LinkedIn is to extend this professional graph into an economic graph by digitally manifesting every economic opportunity in the world (full-time and temporary); the skills required to obtain those opportunities; the profiles for every company in the world offering those opportunities; the professional profiles for every one of the roughly 3.3 billion people in the global workforce; and subsequently overlay the professional knowledge of those individuals and companies onto the graph. Once realized, we then want to get out of the way and allow all of the nodes on this network to connect seamlessly by removing as much friction as possible and allowing all forms of capital, e.g. working capital, intellectual capital, and human capital, to flow to where it can best be leveraged. In doing so, we believe we'll be able to help lift the global economy." "Amit Singh, a Google VP and head of its enterprise unit, spoke with AllThingsD about the company's efforts to beef up its cloud business tools to go after Microsoft users, many of whom Singh thinks don't need everything Office offers. "Our goal is to get to the 90 percent of users who don’t need to have the most advanced features of Office," Singh said." "If this made-up award makes you feel good about yourself, then you are on your way to understanding gamification, a business trend — some would say fad — that aims to infuse otherwise mundane activities with the excitement and instant feedback of video games. Many businesses are using these game tricks to try to get people hooked on their products and services — and it is working, thanks to smartphones and the Internet." "Mr. Norris said Simba, which regularly surveys e-book buyers, has been noticing what it calls “commitment to content” issues. “A lot of these e-book consumers aren’t behaving like lab rats at a feeder bar,” the analyst said. “We have found that at any given time about a third of e-book users haven’t bought a single title in the last 12 months. I have a feeling it is the digital equivalent of the ‘overloaded night stand’ effect; someone isn’t going to buy any more books until they make a dent in reading the ones they have already acquired.”"
“A study by Opower in September revealed that charging the iPhone 5 costs just $0.41 per year, and charging the Droid Galaxy SIII costs just $0.53. Excerpt from some Motorola musings; I suspect Google will retain its current Nexus business model, however, with which it can pick from the best devices from multiple Android hardware vendors and Nexus-brand them for a product cycle, as it currently does with Nexus 4 (LG), Nexus 7 (ASUS), and Nexus 10 (Samsung). Double-bonus for Google if the former Motorola Mobility design team can create winning devices for one or more product categories, but I don’t expect Google to place an all-or-nothing bet on its Motorola team. Google will rename its giant Motorola division Nexus. "Indeed, useful is an important word to look at when trying to understand the importance of translation in Google's mission statement. What does it really mean for information to be useful to people? It means that they can understand it easily and readily, in their preferred communication styles, so that they can do something with it. The implications of this are vast and go beyond mere language translation. One implication might be a technology that can translate from one generation to another. Or how about one that slows down your speech or turns up the volume for an elderly person with hearing loss? That enables a stroke victim to use the clarity of speech he had previously? That can filter out cultural taboos? That can automatically change the reading level to match the age or literacy level of the individual? That can convert legalese into plain language? That can pronounce using your favorite accent? That can convert academic jargon to local slang? These are just a sampling of the many ways that better language processing can change our lives in very useful ways." "But Google doesn’t just make apps for Android and the web. It also makes them for Apple’s iOS — 25 different apps at last count. That’s more apps than Apple offers on its own store. Unfortunately, when it comes to design on the iPhone and iPad, its offerings have left a lot to be desired. That is until recently when, suddenly, its apps started getting very very good. 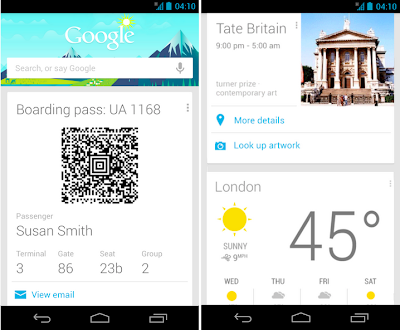 It all began with the release of a startlingly good iOS app for Google+. Clean, well put together on both iPhone and iPad, spare yet bold. Somehow very Google and very iOS at the same time." "There’s a kind of cognitive dissonance in most people who’ve moved from the academic study of computer science to a job as a real-world software developer. The conflict lies in the fact that, whereas nearly every sample program in every textbook is a perfect and well-thought-out specimen, virtually no software out in the wild is, and this is rarely acknowledged. To be precise: a tremendous amount of source code written for real applications is not merely less perfect than the simple examples seen in school — it’s outright terrible by any number of measures." "Looking at the 12 weeks ending November 25, the research firm pegged Apple's U.S. smartphone share at 53.3 percent, thanks in part to strong sales of the iPhone 5. That number was up from 35.8 percent a year prior. And it's likely to grow. "Apple has reached a major milestone in the U.S. by passing the 50 percent share mark for the first time, with further gains expected to be made during December," Dominic Sunnebo, Kantar's global consumer insight director, said in a statement. 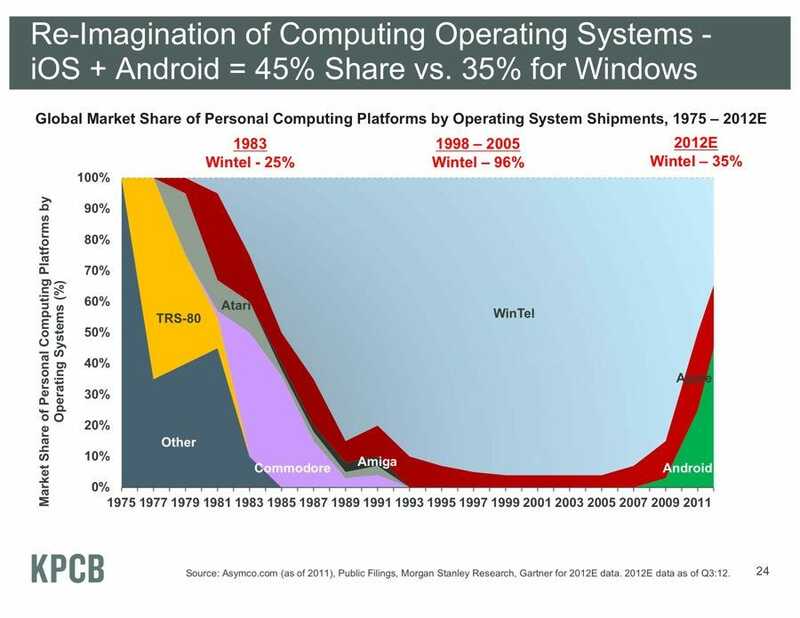 At the same time, Android's U.S. market share showed a drop to 41.9 percent from 52.9 percent a year prior." "Some Google executives have expressed fears the relationship could go sour if Samsung decided to use a "forked" version of Android, according to four people familiar with the matter. That means Samsung would create devices based on a version of Android that doesn't come with Google apps preinstalled. Motorola is seen as a kind of insurance policy if Samsung shifts strategy, these people said, even though there is little evidence so far of such a move. Google could begin adopting an integrated approach of having its Motorola and Android units work more closely together, like Apple does with its hardware and software teams, they said. A Samsung spokesman declined to comment." “Quora CEO Adam D'Angelo is nothing if not ambitious. Expression Design 4 and Expression Web 4 can now be freely downloaded, but both are "end-of-lifed"
"With this move, Microsoft is essentially ending the development of any tooling that's oriented at design professionals rather than developers. In the light of the company's new, albeit uneven, emphasis on design, this is a rather surprising move to say the least. Adobe is dominant in this field, and it doesn't appear that Microsoft's products were making any real impact on the market (except perhaps for Blend). But now the company appears to no longer even be trying to court designers and have them integrate with its design ethos, such as it is." "Meanwhile, e-book readers are losing momentum. This year, worldwide shipments of e-book readers will fall to 14.9 million units from 23.2 million units last year — a 36 percent drop, according to estimates by IHS iSuppli. The research firm eMarketer noted these trends in a report published on Thursday. Forrester Research is seeing a similar trend. In the United States, manufacturers sold nine million e-book readers this year, down from 15.5 million last year, according to Sarah Rotman Epps, a Forrester analyst. Next year, the number of e-book readers sold will be 7.5 million units, and in 2014 that number will drop to 5.3 million and keep falling from there, Forrester predicts." "The point, Keirstead says, is that Salesforce will seek to build its own “marketing cloud” offering. Of course, Salesforce doesn’t have the financial flexibility that Oracle does. It has only $1.4 billion in combined cash and short- and long-term investments as of the close of its most recent quarter. That’s almost pocket change compared to Oracle’s $34 billion as of the quarter reported earlier this week." The name originally stood for "if this then that," for simple action "recipes"
"IFTTT, the maker of handy tools that connect various Web and mobile apps together, has raised $7 million in Series A funding. The San Francisco-based company provides connective tissue between services like Dropbox and Instagram, Twitter and Google Drive, and LinkedIn and Salesforce Chatter — and all sorts of similar combinations. Users can write rules to automatically archive their content, to receive notifications when something in particular happens or to aggregate and syndicate their own posts." A timely NoSQL reality check, consistent with a quote in a recent Philip Greenspun post: "[...] 'well, it sounded really cool at first, until I realized that NoSQL is just another name for what people did before there were relational databases'." "Frankly, this is daft. If VSAM, Adabas and IMS qualify as NoSQL databases then the term NoSQL has no useful meaning. As I have mentioned in previous articles, graph databases and triple stores are NoSQL databases. And since DB2 has a triple store, that technically makes it a NoSQL database!" Is IMS a NoSQL database? "Google aims to help people turn their intents into actions, lightning fast. For travelers, this means we’re helping to take the complexity out of planning a trip by making it fast and easy for users to find the information they need to plan their next journey. Whether you’re looking for information about flights, hotels, activities or destinations, we have tools to help you -- and they are easily accessible for people on the go. Some of our favorite new functionality is outlined below." "Apple’s map software also integrates nicely with the Siri voice-control system. Ask the iPhone how to get to Carnegie Hall, and it won’t tell you to practice; up pops an Apple map, along with the distance and estimated driving time. Google Maps isn’t directly accessible via Siri, though the blog Addictive Tips found a roundabout way to make it work. Just add the words “via transit” to your Siri query, and you get a list of possible travel apps. Tap Google Maps and you’re all set." "On the day Jobs died, Apple was valued at $351 billion; at press time its market cap stood at $488 billion, more than that of Google and Microsoft. That’s and as in plus: Apple is now worth significantly more than those companies combined. Apple’s cash hoard alone comes to more than $120 billion. It was news in 2011 when Apple passed Exxon Mobil to become the world’s most valuable company. Now Exxon Mobil can barely see Apple’s taillights in the distance, across an $83 billion lead." "Less than one week after Dropbox aqui-hired Audiogalaxy to beef up its cloud music ambitions, today comes news of another acquisition, this time focused on another form of media, photos: the cloud-storage giant is buying Snapjoy – like Dropbox, a Y Combinator-alum — which lets users aggregate, archive and view all of their digital photos from their cameras, phones and popular apps like Flickr, Instagram and Picasa, and then view them online or via an iOS app." Here’s the difference: There isn’t a good alternative to Facebook right now. There is a good alternative to Instagram. It’s called Flickr. Even before the Instagram announcement, Yahoo’s (YHOO) Flickr service was starting to show signs of life for the first time in years, with an elegant new app and a renewed commitment to its users." "Four out of 10 Americans have connected their TV to the Internet, according to a new Forrester study. If you’re just talking about the whippersnappers in the 18-to-32 age bracket, the number shoots up to 6 in 10. Forrester credits Microsoft’s Xbox 360 and Sony’s PS3 for most of that; it says 42 percent of connected TV watchers are hooked up via a game console." Interesting to see Google doing more with Quickoffice, which it acquired in June; the suite is currently available for $2.99 for smartphones (regularly $14.99) and $7.99 for tablets (regularly $19.99; also free for the iPad, as noted in the excerpt below, for Google Apps for Business customers). Check the full post for more details on Quickoffice/Apps integration. "Businesses collect and rely on data that exists in silos across the web - from site analytics to inventory numbers, social media to sales data, there’s more important data available today than most are able to aggregate and analyze themselves. "Systrom is right to apologize for the murky language. It would be fun to see tech blogs apologize in turn for misleading their readers by running with a sensational story before taking the time to make sure it's true, but that's not going to happen. On the bright side, by interpreting the confusing policy in the most alarming possible light, the tech press has forced Instagram to toe the line more carefully than it otherwise might have. That's a win for users—although perhaps not the ones who took time out of their day to download all their photos, delete all their accounts, and switch to another service. Their Instagram account names, photos, and followers are never coming back." Instagram privacy uproar: Why it's absurd, in three nearly identical sentences. Excerpt from a multifaceted Google snapshot by a former FTC commissioner who is now a lawyer representing Microsoft and other companies "concerned about Google’s power as a data collector"
"That’s a worthy sentiment — though a bit surprising coming from the Web’s emperor. For that, arguably, is what Google has become. Its search engine accounts for nearly 80 percent of all Web searches in the United States — and a remarkable 98 percent of searches from mobile devices. In that role, Google is not just an eponymous verb but perhaps the most central conduit of information in the nation — and, indeed, on the planet. No other search engine comes close." "Instagram has quickly become a formidable threat to Twitter. In August, Instagram reached 7.3 million daily active users, exceeding Twitter's 6.87 million for the first time, according to comScore. Since then, the gap has widened. Last month, Instagram had 17% more daily active users than Twitter, according to comScore data. On average users spent 321 minutes on Instagram in November, versus 146 minutes on Twitter, according to comScore." "However, the biggest news here is that the new iPhone version of Google Maps isn’t just better than Apple Maps. For now, at least, Google Maps is better in most respects on the iPhone than it is on Android phones. It has been redesigned with a cleaner, simpler user interface that makes it easier to use. Google officials say they took the sudden need to build a new iPhone version as an opportunity to rethink the popular app from the ground up." "But like a ho-hum, reliable car that merely got you where you wanted to go, Evernote hasn’t always been a particularly delightful thing to use. Meet Evernote 5, a revamped version of the service that purrs with fluid features and playful design elements. In place of a dull list view of notes and notebooks, a handsome Cards view shows better images and details for saved items; on iOS, each card spins around and floats toward you when it’s selected." "Truly, the only way to get around the privacy problems inherent in advertising-supported social networks is to pay for services that we value. It's amazing what power we gain in becoming paying customers instead of the product being sold. " "Google announced today a new iOS app called YouTube Capture that lets users film and upload a video in as few as three clicks. Users can post their videos simultaneously to YouTube, Google+, Facebook, and Twitter, or upload them privately. Advanced features let users perform color correction and stabilization, edit the video length, and even add music." "Facebook is currently testing its own built-in-house version of a “Snapchat-like” application, a messaging app which allows users to send impermanent photo messages to one another, according to sources familiar with the matter. Facebook plans to launch the app in the coming weeks, sources say, sometime before the end of the year." "For 2013, NPD believes the iPad Mini may outsell the Retina Display iPad. "In 2013, it is likely that Apple will adjust its product portfolio to meet the strong demand for the iPad Mini," noted Hsieh. "We believe that Apple is targeting total iPad shipments of 100 million in 2013, half accounted for by the iPad Mini, and 40 million new iPad and 10 million iPad 2, as production continues at least until the middle of 2013."" "What does this mean for the rest of us? It means, basically, that we won't see much change in how the Internet is currently run, at least when it comes to international regulations. But the treaty's defeat as a matter of consensus might also have more far-reaching implications for how the world gets together to regulate (or not regulate) the Internet. Closed-door sessions are in some ways at odds with the ideal -- and, for the most part, the reality -- of a free and open Internet. The ITU debacle was, on top of everything else, a reminder of that. " tbd if Mark Penn will have something to say about this; the move hit a nerve for Paul Thurrott, who asserts "Google just declared war on Microsoft"
"Google Sync was designed to allow access to Gmail, Google Calendar, and Contacts via the Microsoft® Exchange ActiveSync® protocol. With the recent launch of CardDAV, Google now offers similar access via IMAP, CalDAV, and CardDAV, making it possible to build a seamless sync experience using open protocols. Starting January 30, 2013, consumers won't be able to set up new devices using Google Sync, however, existing Google Sync connections will continue to function. Google Sync will continue to be fully supported for Google Apps for Business, Government and Education users who are unaffected by this announcement." "Hiring Mr. Penn demonstrates how seriously Microsoft is taking this fight, said Michael A. Cusumano, a business professor at M.I.T. who co-wrote a book about Microsoft’s browser war. “They’re pulling out all the stops to do whatever they can to halt Google’s advance, just as their competition did to them,” Professor Cusumano said. “I suppose that if Microsoft can actually put a doubt in people’s mind that Google isn’t unbiased and has become some kind of evil empire, they might very well get results.”"
"While the treaty passed, the lack of support of the United States and other big countries may mean not much will change. The nations that seek greater control will still do what they want, while those that say they’re all about Internet freedom will still support it when convenient. In addition, the ITU has pointed out its rules are non-binding." "Over the next 2 years, Dow Jones, a subsidiary of News Corp. (www.newscorp.com), will be moving the bulk of its online content to the NoSQL software platform of MarkLogic Corp. Factiva will be the first of three services on the Dow Jones digital network to shift; the others—WSJ.com and Dow Jones Financial Services—will follow. At present, no specific dates have been set for the moves, but Factiva should have moved over “well before the end of 2013,” according to Alisa Bowen, head of product at Dow Jones. The Factiva segment of Dow Jones services sees this as a significant investment in the future of a service begun late the last century as Dow Jones News Retrieval." "Philip M. Parker, Professor of Marketing at INSEAD Business School, has had a side project for over 10 years. He’s created a computer system that can write books about specific subjects in about 20 minutes. The patented algorithm has so far generated hundreds of thousands of books. In fact, Amazon lists over 100,000 books attributed to Parker, and over 700,000 works listed for his company, ICON Group International, Inc. This doesn’t include the private works, such as internal reports, created for companies or licensing of the system itself through a separate entity called EdgeMaven Media." "The answer boils down to advertising. Google’s smartphone operating system, Android, has always been incidental to Google’s ad business, the source of virtually all the company’s profits, and Google’s Motorola handset division is, for now, a similar sideshow. Google doesn’t particularly care what operating system you use to view its ads or engage with its sites; it just wants to pull you in. Google pumps money into Android mainly to ensure that companies like Apple and Microsoft can’t push its properties off of smartphones." "You also lose Siri integration, so you can’t activate Google Maps by voice. That’s a bummer, but not a dealbreaker. Google Maps more than compensates for that by linking to your Google account, so any Maps search you’ve performed on your PC will be listed in the history of the Google Maps app. This is particularly helpful if you’re planning a trip: You can find your destinations on your laptop or tablet at home (which is easier than entering all that info on a tiny touch screen), and all your places will be a tap away on your phone when you get in the car." "IBM Connect 2013. Familiar, yet with a whole new twist. We're connecting the long-standing Lotusphere and last year's Connect conferences — and making them one. IBM Connect combines the deep technical content that you’ve loved for 20 years with the learning you need to accelerate your move beyond social media to drive real business value with social and collaborative technologies." "There was more to call Apotheker’s competence into question that day — Aug. 18, 2011 — that contributed toward his stint as CEO being cut short. HP fell short on earnings, and he also launched the ill-fated effort to spin off the PC unit as a separate company and killed the Palm handheld and tablet unit acquired only a year earlier by his predecessor Mark Hurd. Clearly Apotheker doesn’t like getting all the blame for the deal. Lane was certainly at the table and lent his support for it. And for that matter, so was Whitman. "“The word ‘Internet’ was repeated throughout this conference and I believe this is simply a recognition of the current reality — the two worlds of telecommunications and Internet are inextricably linked,” said Hamadoun Touré, secretary general of the International Telecommunication Union. The United States has consistently maintained that the Internet should not have been mentioned in the proposed treaty, which dealt with technical matters like connecting international telephone calls, because doing so could lead to curbs on free speech and replace the existing, bottom-up form of Internet oversight with a government-led model." "What this timing really shows is how much Google needs to be on iOS. They’re primarily in the business of reaching as many people as possible so they can build up as much data and advertise to as many bodies1 as possible. Android is an insurance policy against their profitable businesses being locked out of other platforms, not an important profit center itself." “Google wants website owners to add as much structured data to their sites as possible in order to improve its search results and Knowledge Graph boxes with rich snippets like event listings, reviews and other information. Adding this kind of metadata to a site, however, isn’t always trivial, and many small businesses don’t really have the expertise to add microdata or RDFa markup to their sites. Schmidt’s remarks reflect Google’s growing confidence in its ability to attract users and advertisers as more customers rely on handheld devices and shun traditional computers. By giving away Android, Google cedes revenue to hardware partners, such as Samsung Electronics Co. Schmidt is willing to make that sacrifice because it drives demand for ads and other Internet- based services that benefit Google over time. “The core strategy is to make a bigger pie,” he said. “We will end up with a not perfectly controlled and not perfectly managed bigger pie by virtue of open systems.”"
"Along with driving directions, Google Maps gives equal emphasis to walking directions and public transportation options. This feature is brilliantly done. Google Maps displays a clean, step-by-step timeline of your entire public transportation adventure. If you ask for a route from Westport, Conn., to the Empire State Building, the timeline says: “4:27 pm, Board New Haven train toward Grand Central Terminal.” Then it shows you the names of the actual train stops you’ll pass. Then, “5:47 pm, Grand Central. Get off and walk 2 min.” Then, “5:57 pm, 33rd St: Board the #6 Lexington Avenue Local towards Brooklyn Bridge.” And so on. Even if public transportation were all it did, Google Maps would be one of the best apps ever. (Apple kicks you over to other companies’ apps for this information.)" "HP will be broken up into two pieces. This once-great company has had too many body blows (Mark Hurd’s purchase of EDS to chase on-premise consulting gigs, Hurd’s ouster, Leo Apotheker’s stint as CEO, Apotheker’s acquisition of Autonomy, Autonomy’s allegedly creative bookkeeping) to remain in one piece. I believe it will be broken into two parts, with the consumer half going to an OEM in Asia, and the enterprise side bought by a big Indian outsourcer." This just in, from the parallel universe in which everybody uses BlackBerry devices and nobody has heard of Skype or Google Voice... Also unlikely that Evernote integration will lead to BlackBerry resurgence. "RIM introduced an upgrade for BlackBerry phones that will allow their owners to make free calls to anywhere in the world through Wi-Fi connections. As with all things BBM, the catch is that the person on the other end of the call must also be a BlackBerry user, a group which is declining in the United States." 1997: Microsoft's commitment to support Mac Office (along with an Apple investment) was seen as pivotal to Apple's survival. 2012: Microsoft Office for iOS will have to be feature-truncated (as with the Kindle client for iOS) to avoid Apple's iOS in-app purchase model. "Sources familiar with the ongoing negotiations between Apple and Microsoft tell AllThingsD that the companies are at loggerheads not over the 30 percent commission Apple asks of storage upgrade sales made through SkyDrive, but over applying that same commission to Office 365 subscriptions sold through Microsoft Office for iOS, which is expected to launch sometime next year." “Google Now, a kind of reverse search engine for Android phones that offers useful information when it thinks you might need it, got an upgrade last week that quietly enabled it to track when a person is walking or cycling. Once a month, a notification offers a summary of those activities to give the user a sense of how much exercise they got. Google Drive has a long way to go before it’s a serious note-taking alternative to Evernote, but save-to-Drive is a big step. Also consider Google Notebook; the domain is familiar to Google. “In a Google+ post, the search giant said that it is launching a "save to Drive" extension to its Chrome browser. The general idea is that you can grab content from around the Web and store it. Images and links can also go to Drive. "Google Plus was a big bet. It is a big bet. What's most important to you? Is competitive with Facebook (FB)? Is it about weaving identity across all of Google's products? You've talked about adoption being higher than you expected. What's the measure of success going forward? There's [another] part of Google Plus. I think in order to make our products really work well, we need to have a good way of sharing. We had 18 different ways of sharing stuff before we did Plus. Now we have one way that works well, and we're improving." "Evernote stores hundreds of terabytes of online data in order to preserve our users’ memories. Over the last four years, 36.8 million people have created Evernote accounts, and together have uploaded more than 1.2 billion notes with more than 2 billion attachments. The online application has generated a continuous stream of structured logs, which record high-level activity performed via our APIs from clients and web interfaces. These logs have grown with time and usage so that now we’re recording nearly 200 million events per day, with more than 66 billion events since our launch in 2008." “To help budget-strapped classrooms across the country, we’re working with DonorsChoose.org, an online charity that connects donors directly to public school classroom needs. For the holiday season, teachers can request the Samsung Series 5 Chromebook—the most widely deployed Chromebook in schools—at a special, discounted price of $99 including hardware, management and support. "Apple has the desktop Mac market all to themselves. They’re free to make exactly the sort of computers they want, to prepare their users for the future as Apple sees it. Still, I hope Apple moves past this “thinner is always better” mindset soon. Consumers with a clear preference for Mac won’t let the iMac’s lack of a built-in optical drive, or its zero expandability, change their allegiances. But for every one of those people, there are more folks who just want a terrific desktop that delivers clear value for money." "The latest numbers come from iSuppli, which says the dedicated ebook reader market saw spectacular growth in the last few years, but is now on “an alarmingly precipitous decline.” In fact, the analytics provider says “the rapid growth—followed by the immediate collapse—of the ebook market is virtually unheard of, even in the notoriously short life cycle of products inhabiting the volatile consumer electronics space.”"
"Microsoft does not appear keen to pay Apple the 30% cut, as it lasts in perpetuity, regardless of whether a user continues to use an iOS device or not, as the billing is through their Apple account. Therefore, if a user signed up for a few additional gigabytes on their iOS device, and then moved to Android or Windows Phone or not phone at all, for the length of their account, Apple would collect 30% of their fee for storage. This hasn’t sat well with Microsoft." "It's still a mystery where John McAfee will eventually land, but his life story is destined for the small screen. Currently in custody in Guatemala and fighting deportation efforts that could return him to Belize to face questions about a murder, the antivirus-software pioneer has signed a deal that gives the rights to his life story to a Montreal-based TV producer." "The proposal, supported by China, Saudi Arabia, the United Arab Emirates, and others, would have called on the U.N. to help member states seize control of key Internet engineering assets, including domain names, addresses, and numbering. The United States, Canada, France, Sweden, and others opposed the proposal, fearing that it could do grave harm to the current free and open Internet." "Some Gmail users had trouble starting the work week on Monday. Google’s e-mail service was inaccessible for many users on Monday morning, for both personal and business accounts. Google said it was a global service disruption. Chrome, Google’s browser, was reported to be crashing frequently in some instances." "Why bother? In 2014, Apple’s revenue could exceed $250B. Even if Apple TV sales were to grow by ten times, they would still represent no more than a 2% fragment of the total. The answer is that Apple TV isn’t meant to generate revenue but to enhance the value of the more muscular, profit-making members of the ecosystem: iPhones, iPads and, to a lesser extent, Macs. In a similar, grander, and now well-understood way, iTunes isn’t in the business of making money by itself. iTunes made the iPod larger than the Mac in 2006, and it made the App Store possible — and the iPhone and the iPad as profit engines." “The news: The U.S. Patent and Trademark Office has declared a huge Apple multi-touch-screen patent - the so-called "Steve Jobs patent" - to be invalid. As CNET adds, this is the second Apple patent to get a smackdown. The previous one was about Apple's "rubber band" effect. Neither ruling is final, but still. The best analysis: Groklaw, which has been doing amazing coverage of Apple's legal war, writes: "If you want to know why people now hate Apple for its legal swashbuckling, this is Exhibit A." "I like to refer to periods such as these as The Microdeath Dream Fantasy. It’s the five months or so that follow a launch of Windows in which all manner of experts celebrate Microsoft’s imminent demise due to lackluster Windows sales. It’s a result of the massive pent-up desire for Microsoft to fail. The company behaved in horrible, anticompetitive ways years ago and did so while foisting a series of uninspiring products on the citizenry." "Today Google+ is the fastest-growing network thingy ever. More than 500 million people have upgraded, 235 million are active across Google (+1'ing apps in Google Play, hanging out in Gmail, connecting with friends in Search...), and 135 million are active in just the stream. This enthusiasm, we think, stems from our building tools that build real relationships—in a live hangout, around a breathtaking photo, or with an inner circle of friends. So today we're launching two new improvements that help bring the nuance and richness of real-life sharing to software." "Since then, Facebook and Microsoft employees have reached out to other ad tech companies to do research for the deal. A source at one of these companies briefed us on the details of those conversations. Though acquiring Atlas was the main reason Microsoft bought aQuantive for $6 billion in 2007, it seems like Facebook will pay a much lower price. One source says that prior to Facebook's negotiations with Microsoft, the highest bid for Atlas was $30 million. Microsoft has already written off most of that $6 billion." "Cisco, the chairman and chief executive says, will shift toward customers in government and large businesses, handling projects like designing and managing systems for efficient traffic and clean water across entire cities. Cisco’s plan is to create networks of sensors and data analysis systems, working closely with government officials and civil engineering companies. And it will work with companies to set up efficient mining, manufacturing and distribution systems. “It’s a $4 trillion market,” he said. “The days of boxes are over.”"
"Cable-equipment maker Arris Group Inc. and private-equity firms are expected to bid, these people said. Set-top box maker Pace and Technicolor SA, a video-technology company, could also bid, they said. Two people involved in the process said they expected bids to be between $1.5 billion and $2 billion, while another said they could go as high as $2.5 billion. One of the people said that Google has indicated it could help finance a deal." "Hadoop has become a big thing, and in fact there are numerous flavors of it and numerous companies offering their own version of it, while others are building things to work with it. The biggest and best known company in the Hadoop world is Cloudera. Started in 2008 by a trio of engineers from Facebook, Google and Yahoo (Jeff Hammerbacher, Christophe Bisciglia and Amr Awadallah) plus CEO Mike Olson, a former Oracle exec, it has in four years gone from the start-up that few really understood to the company you have to talk to if you want to stand a chance wrestling your data challenges to the ground." “H.P.’s market capitalization is about $27 billion. That’s scarcely more than half the price its parts would fetch as standalone entities. At least that is the conclusion from a new Breakingviews calculator that compares revenue multiples at each of its divisions with similar publicly traded companies. "Using fuel cells at this scale potentially changes how data center operators use grid power and traditional back up diesel generators. With Apple’s combination of its solar power and fuel cells, it appears the facility will be able to produce more than the 20 megawatts it needs at full steam. That means Apple could sell power back to the utility or even operate independently and use the grid as back up power—a completely new configuration." "But the fact that the application store is growing so rapidly is rather interesting. There seems to be a general sense in the marketplace that because the App Store comes bundled in the iPad and iPhone, and the Google Play store is readily available on Android products, Amazon’s Appstore, which comes bundled in just a handful of devices, should be ignored. But if Amazon’s figures are to be believed, that’s no longer the smart move. Amazon has found a way, despite all of the odds, to carve out a portion of the application market for itself. Developers are increasingly finding that the company’s store is worth trying out, and as more Kindle Fires are sold, Amazon customers are finding things to like, as well." "Though it hasn’t yet expanded into new product categories (still no Apple TV set), the company has changed in significant ways, largely because of Cook’s calm and steady influence. In his most wide-ranging interview as CEO, Cook explains how Apple works now, talks about the perception that he’s “robotic,” and announces the return of Apple manufacturing to the U.S."
“The next web is mobile. "However, the gist to the situation is that Apple’s core businesses are strong, and the market is pricing Apple as if its every ounce of future growth is spent. If you think that Apple will grow its earnings by more than 12% of so in the next year, you are all but implying that it has been overcorrected. At the same time, something in motion tends to stay in motion unless acted upon. Heading up, Apple was a rocket, and now in the other direction it has been carrying weight, despite the firm having an incredibly strong set of products heading into the lucrative holiday season." "All of these machines are successful in their goals. The iMac has the best screen you’ve ever seen on a computer, the finest craftsmanship and ridiculously fast response. The Vizio’s touch screen and low price give it a charm all its own. And the H.P. is competent, tidy and unimposing. All of them represent ingenious steps forward in miniaturizing the innards of a computer. Each costs more than your standard plastic black box, of course. But sometimes, beauty, elegance and satisfaction are worth a few bucks." "Instead, the Chromebook delivers 11.6 inches of video real estate and a big, comfy keyboard. It comes with 16 gigabytes of flash memory for data storage, eliminating the need for a noisy, bulky hard drive. It’s also got a low-end but serviceable webcam for videoconferencing, surprisingly decent stereo speakers, a flash memory card slot, a couple of USB ports, and an HDMI connection that will pump videos to a big-screen TV. It’s all packaged in a sleek plastic case that’s roughly as thin as Apple Inc.’s $999 MacBook Air, and only a few grams heavier." "Most of Evernote's 45 million users already put the app to work at work. Now Evernote is tailoring its service to small and midsize companies with the launch of Evernote Business for Mac, Windows, iOS and Android. The new tool lets users share information within a company or with clients, while IT controls permissions. You can join Evernote Business with your existing personal account, which remains invisible to the company, and you keep your own data if you leave at any time." Not a bad start, compared to, e.g., Wolfram Alpha's "10+ trillion pieces of data"
"At launch, the Knowledge Graph was a database of the relationships among 500 million objects, and contained 3.5 billion facts. Less than seven months later, the graph covers 570 million entities and 18 billion facts -- as well as three times as many queries as it did when it started. Whenever the Knowledge Graph recognizes a query it understands, the results show up in a box on the right-hand side of the page. The fact boxes resemble Wikipedia entries, and draw from a variety of publicly available and licensed data sources." Well, the world would still have CouchDB, one of the oldest NoSQL databases. CouchDB creator Damien Katz wasn’t inspired by Google or Amazon or any other web giant. He was inspired by Lotus Notes, an online collaboration platform originally developed in the 1970s and ’80s." "One of Amazon’s flagship features, X-Ray for Books, has finally arrived in its iOS version. This is enormous as it’s one of the main reasons I love reading books on my Kindle and the Kindle Fire so much better than my iPad. The X-Ray feature is one of the coolest selling points of the Kindle devices including e-ink and HD models. The ability to get a breakdown of characters on a page and where they appear in a book is super neat. Amazon calls it seeing the ‘bones of the book’." "WSJ: Is Google looking at owning a wireless network? Mr. Schmidt: I'm sure we will discuss this, but at the moment we're busy working on wireline [Internet]. This Kansas City stuff [where Google is rolling out a high-speed fiber network] is extraordinarily exciting, and we're focusing on that. The current spectrum shortage [currently facing the mobile industry] is real, but it's an artifact of a licensing and regulatory error. New technology allows there to be lots of spectrum, far more than you could use." "Apple’s iTunes is the world’s most popular computer program for playing, managing and buying music, movies and TV shows. The company estimates the number of copies in active use to be in the high hundreds of millions. Now, Apple has given iTunes its biggest overhaul since 2003, when the software — originally just a jukebox for Macs — was made available for Windows computers and the built-in iTunes store was added." "Not the iPad Mini. Because of its size, the iPad Mini, like paperback books or magazines that roll-up, can fit in most jacket pockets. As a result, just as I used to with print books, I now find myself throwing the iPad Mini in my pocket when I’m heading for lunch, coffee, or out for the evening. So, for now, I have a new Desert Island Device: a 7.9-inch tablet. And yes, I’d even leave my smartphone at home in place of it." "Standard texting is still popular. CTIA, the wireless industry trade group, said that in the first half of this year, Americans sent 1.107 trillion text messages. But that was down 2.6 percent from the 1.137 trillion messages sent in the first half of last year. Ovum, a mobile communications research firm, estimates that by 2016, Internet-based message services will have eaten up $54 billion in revenue that carriers could have made from text messaging. For years, text messages have been a source of pure profit for carriers because it costs nearly nothing to deliver them. In response to the rise of Internet services, they have been overhauling their pricing plans to stay profitable." "The PostgreSQL database has already begun to benefit significantly from this perfect storm of circumstances. PostgreSQL, or Postgres for short, is the enterprise-class open source database used by some of the largest companies in the world to handle all types of workloads. Companies like VMware, Microsoft (through its acquisition of Skype), Apple and Facebook (through its acquisition of Instagram) are all PostgreSQL users. So too are the Federal Aviation Administration (FAA), Fujitsu, NTT, Sony-Ericsson, Sony Online Entertainment, the US State Department and Yahoo." "Why did you do it? We contacted Tumblr about this weeks ago and nothing came of it. This was a serious issue that needed to be fixed. Someone would have done a lot worse than just posting a message over and over if they didn't fix it right away..."
"The attempt to undermine consumers’ trust in Google by taking a strategic swipe at a competitor’s roots (the “Don’t be evil” slogan dates back to Google’s birth) is likely to trigger a bit of déjà vu for anyone who has followed Penn’s career in politics. In 2008, Bloomberg Businessweek’s Joshua Green (then at the Atlantic) revealed a series of memos Penn wrote during the 2008 presidential campaign, suggesting to his candidate Hillary Clinton, among other things, that she could undermine voters’ trust in Barack Obama by digging into his roots." “You can read more about my concerns on CNN.com, but I am not alone. So far, more than 1,000 organizations from more than 160 countries have spoken up too, and they’re joined by hundreds of thousands of Internet users who are standing up for a free and open Internet. 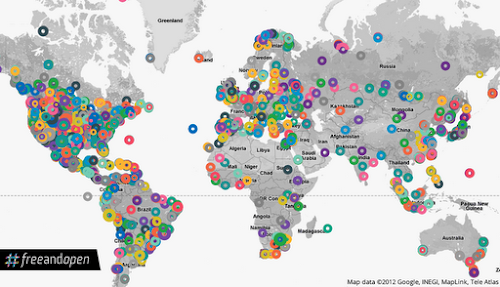 On an interactive map at freeandopenweb.com, you can see that people from all corners of the world have signed our petition, used the #freeandopen hashtag on social media, or created and uploaded videos to say how important these issues are.